This map is informational only. No representation is made or warranty given as to its content. Haunted Classic and TourneyCentral.com assume no responsibility for any loss or delay resulting from such use. Many sports parks DO NOT have a street address. If there is no street address for a park or it is not known, it will not appear below. Teams are encouraged to double check with reliable third-party maps and/or DOT sites for construction, detours and delays. Haunted Classic assumes no responsibility for the accuracy of third-party maps or web sites. From I-675 take Exit 13 onto SR 35 and go East 3 miles to the 2nd traffic light; turn South (right) on Orchard Lane; complex is 200 yards on right; take 1st or 2nd entrance. Note: There is also an entrance to the complex from Factory Road. This road is called Yellow Brick Road. Follow the directions above but turn right at the light at Factory Road. The entrance at Yellow Brick Road is the first left. 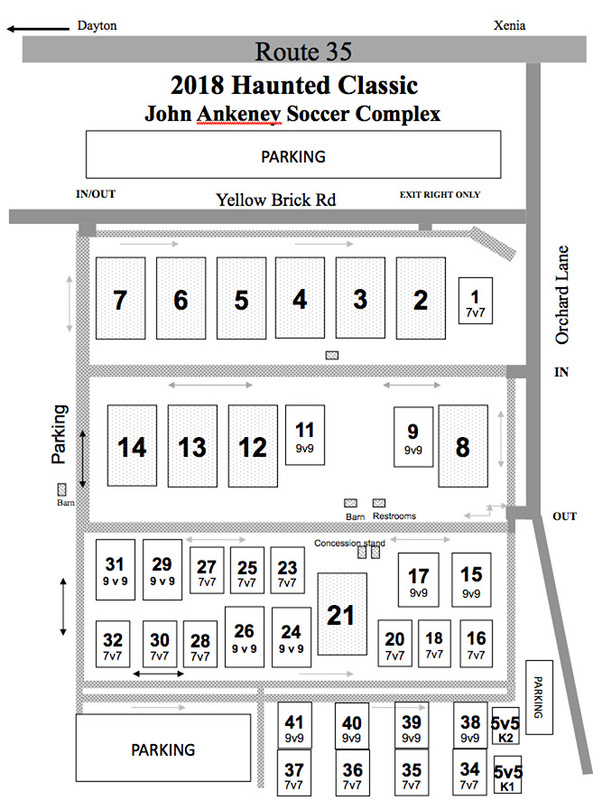 The John Ankeney Soccer Complex is one of the largest and well maintained grass complexes in the midwest. Featuring over 35 irrigated fields the complex hosts league matches, tournaments as well as Regional State Cup games. Please review parking maps and off site busing options as traffic can get congested at peak times. No pets are permitted at the complex. From the South: Merge onto I-675 N toward COLUMBUS. Take the SR-35 exit toward DAYTON and follow it to N. FAIRFIELD RD. Turn RIGHT from the exit ramp onto N. FAIRFIELD RD. Turn RIGHT onto DAYTON-XENIA RD. Follow DAYTON-XENIA RD. past Main Elementary, Beavercreek High School, Rotary Park, the community of Alpha and the Beavercreek Township Building. Pass ANKENEY ROAD and turn left into the parking lot of COY MIDDLE SCHOOL, BEAVERCREEK, OH. From Columbus/Springfield: Merge onto I-70 W. Take I-675 S via Exit 44 toward FAIRBORN/CINCINNATI and follow it to N. FAIRFIELD RD. Take N. FAIRFIELD RD. past the intersections of Kemp Road and Lantz Road to DAYTON-XENIA ROAD and turn LEFT onto DAYTON-XENIA. Follow DAYTON-XENIA RD. past Main Elementary, Beavercreek High School, Rotary Park, the community of Alpha and the Beavercreek Township Building. Pass ANKENEY ROAD and turn left into the parking lot of COY MIDDLE SCHOOL, BEAVERCREEK, OH. From the North: Merge onto I-75 S and follow to DOWNTOWN DAYTON. Take the SR-35 exit EAST toward XENIA and cross over I-675. Take the N. FAIRFIELD RD. exit. Turn RIGHT from the exit ramp onto N. FAIRFIELD RD. Turn RIGHT onto DAYTON-XENIA RD. Follow DAYTON-XENIA RD. past Main Elementary, Beavercreek High School, Rotary Park, the community of Alpha and the Beavercreek Township Building. Pass ANKENEY ROAD and turn left into the parking lot of COY MIDDLE SCHOOL, BEAVERCREEK, OH. From the West: Take I-70 E and merge onto I-75 S. Take the SR-35 exit EAST toward XENIA and cross over I-675. Take the N. FAIRFIELD RD. exit. Turn RIGHT from the exit ramp onto N. FAIRFIELD RD. Turn RIGHT onto DAYTON-XENIA RD. Follow DAYTON-XENIA RD. past Main Elementary, Beavercreek High School, Rotary Park, the community of Alpha and the Beavercreek Township Building. Pass ANKENEY ROAD and turn left into the parking lot of COY MIDDLE SCHOOL, BEAVERCREEK, OH. 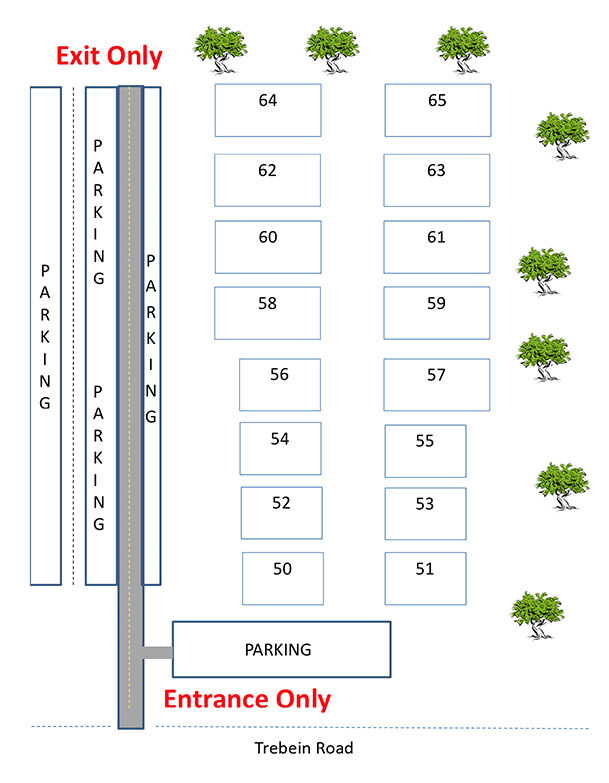 The information below provides information about parking options for the ANK complex. From I-675 take the Dayton-Yellow Springs Rd exit and turn east towards Yellow Springs. Proceed approximately one mile and then turn South or right onto Trebein Road. The complex will be on your left about one mile after the turn. From the Ankeney Complex (Orchard Lane Entrance) turn East or right onto US-35 and then at the next light turn North or left onto Trebein Rd. Travel approximatley 4 miles and the complex will be on your right. If you are exiting from the Factory Road exit turn East or right onto US-35 and Trebein will be the second light. Start out by exiting Hobson Freedom Park and turning Left onto Linebaugh Rd. ; Turn Left onto Dayton Yellow Springs Rd. ; Head South on I-675; Merge onto US-35 E via exit 13A; Turn Right onto Orchard Ln. For Bellbrook follow the same directions but take I-675 South to the Wilmington Pike exit and then follow the directions listed on the Sackett Wright map. Please see the map below for information on where to Enter and Exit the facility. Also below are directions for the fastest travel from HFP to ANK. Hobson Freedom Park is located in Beavercreek Township on the edge of Beavercreek and Fairborn. 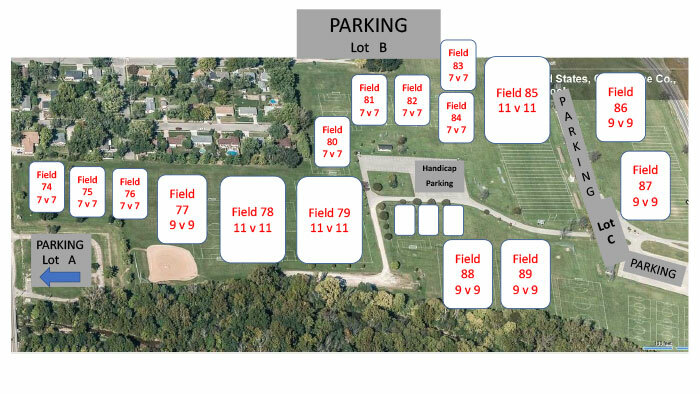 The park is approximately 6 miles from the John Ankeney Complex making this a convenient location for the Haunted Classic Teams. All traffic must enter the complex from Trebein Rd and exit out the back of the complex onto Linebaugh Rd. There is no exit onto Trebein. A new access road to the parking lot has been built so once you enter off of Trebein you will be directed to the left to the new road and into the parking area. When you leave the complex you will head East towards the back of the complex and exit onto Linebaugh Rd. You can then go left if you want to head back to I-675 or you can right if you want to head back to Ankeney. From I-675 take the Wilmington Pike Exit (Exit 7) and turn South. Take Wilmington Pike for about 1.3 miles and then turn left (East) onto Franklin Rd (State Route 725). Follow this road for approximately 2.7 miles as you will pass through downtown Bellbrook and the complex will be on your right just past downtown and after the curve in the road. This is new venue for the Haunted Classic. There are three main parking areas for the site. They are listed as A, B and C on the map. The "C" area will fill up first and then will be closed once it is full. 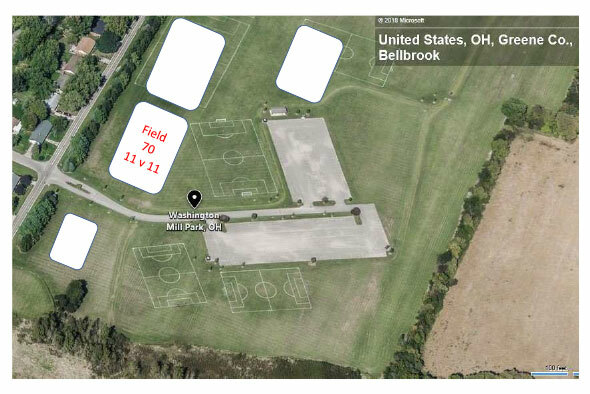 Parking lots A and B are actually closer to certain field numbers so please check your field number and consider using lots A and B since C will fill up first. Lot C is accessed directly from 725 (Franklin St), Lot B is accessed from East St (off of 725) while lot A is accessed from Main Street (off of 725).